Olabisi Onabanjo University (OOU), Ago Iwoye, Freshers/Newly Admitted Students Payment of Acceptance Fee Amount and Guidelines for 2018/2019 Academic Session. 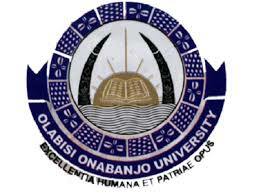 This is to inform all freshers/newly admitted students of the Olabisi Onabanjo University (OOU), Ago Iwoye, who has successfully confirmed their names on the admission list portal to proceed with the payment of acceptance fee immediately. All Admitted candidates are required to pay a non-refundable fee of Sixty Thousand Naira (₦ 60,000.00) to process their acceptance fee. Successful applicants are to pay a non-refundable fee of Sixty Thousand Naira (₦ 60,000.00) only with immediate effect through any of the under listed means to process their acceptance letter.